Courtney arrived at her appointment in Savannah with a complete list of exactly what she wanted in a wedding gown, all lace, with a sleeve, and a fit and flare silhouette. And she knew exactly who was going to find this gown, ME! As I began putting Courtney in gown after gown that checked off every “must have” on her list, she either felt fat, like she couldn’t move, or just simply didn’t feel beautiful. At this point Courtney began to second-guess what she wanted in a gown. I decided to choose a half satin, half lace gown that I knew would look great on her. 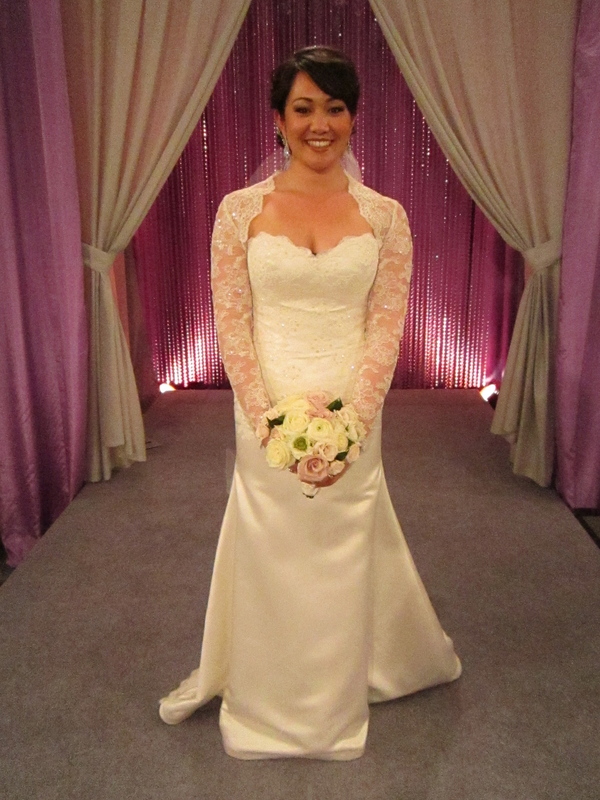 She loved her shape in this gown and after I added a delicate lace shrug. It turned out to be perfect, and Courtney said, “yes” to her dress. 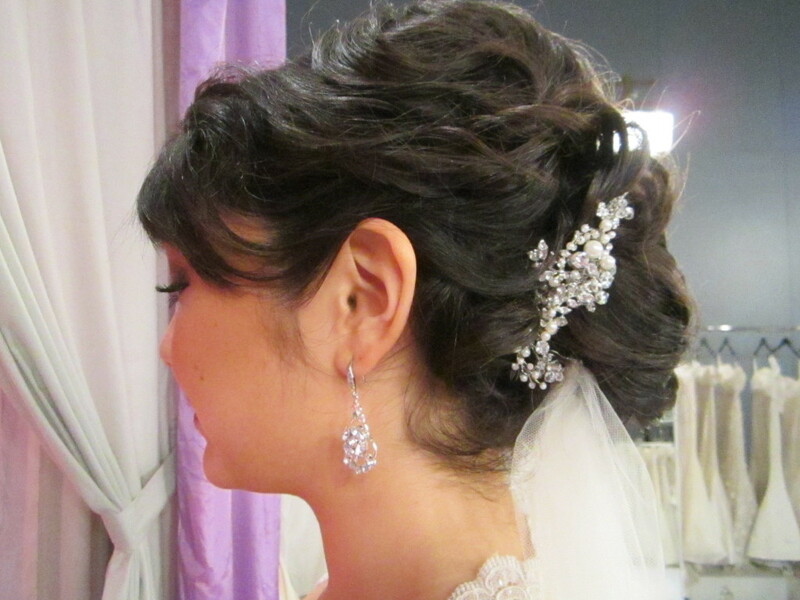 Not to detract from her gown and lace shrug, bridal hair expert Lindsay chose a classic up do. Makeup expert Raychel, decided to keep the makeup subtle ensuring perfect harmony for Courtney’s final “head to hem” reveal. 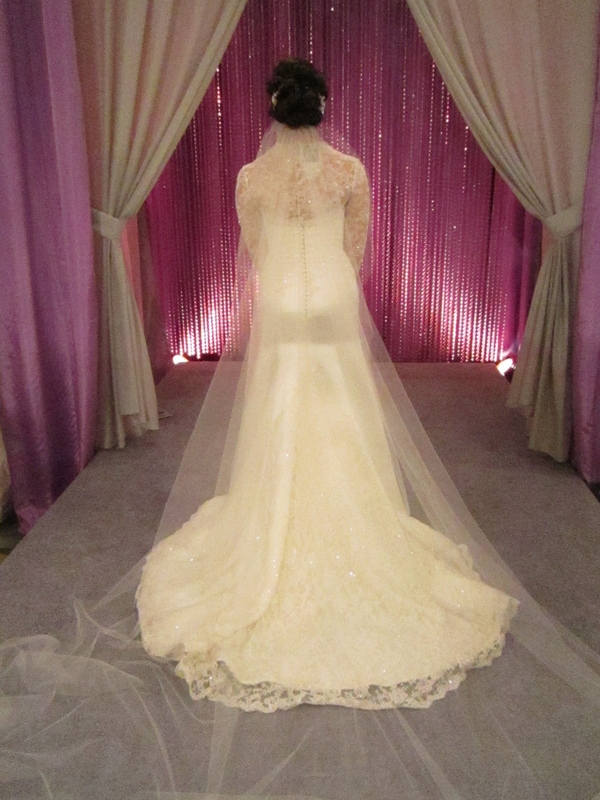 Cathedral length veil (Nina) from Toni Federici. 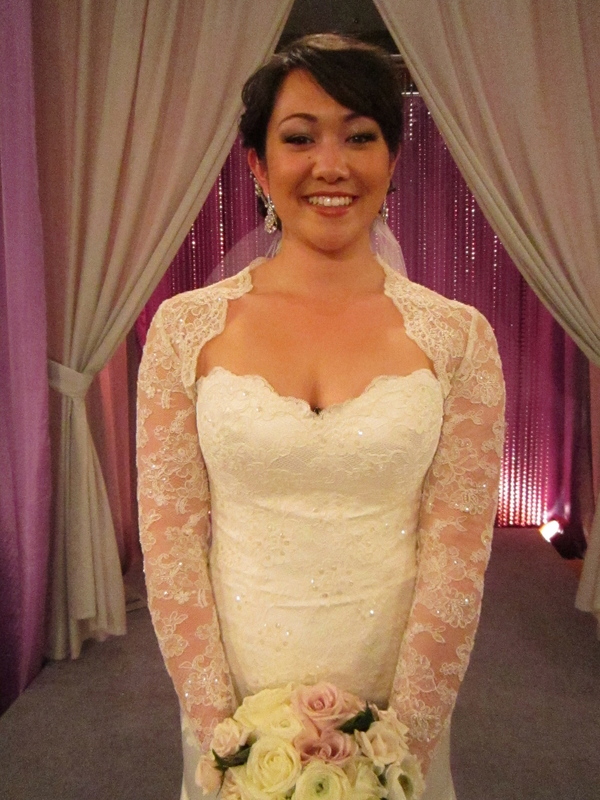 Raychel kept Courtney’s makeup subtle and natural, keeping a cohesive look with the classic up do Lindsay created. Lindsay used a crystal headpiece from the Cheryl King Couture to add some sparkle. 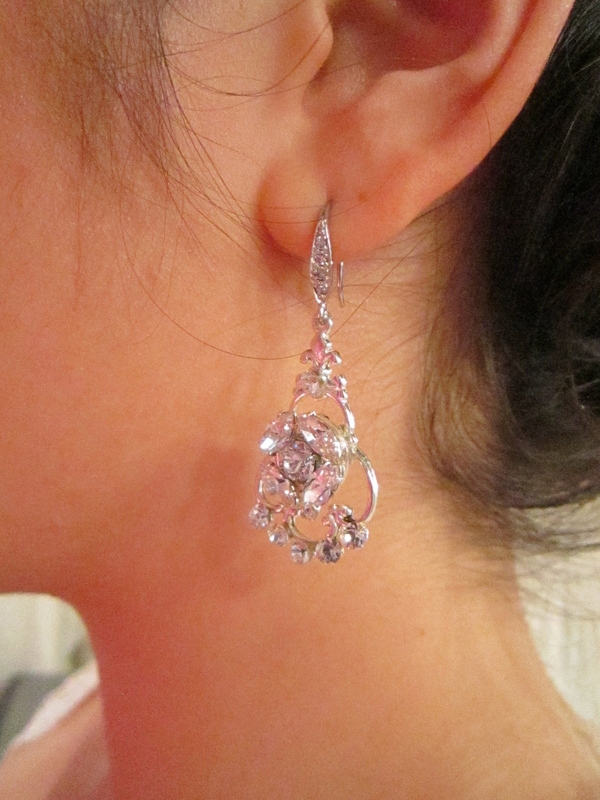 Delicate crystal earrings from Cheryl King Couture complimented the lace on Courtney’s dress and shrug. 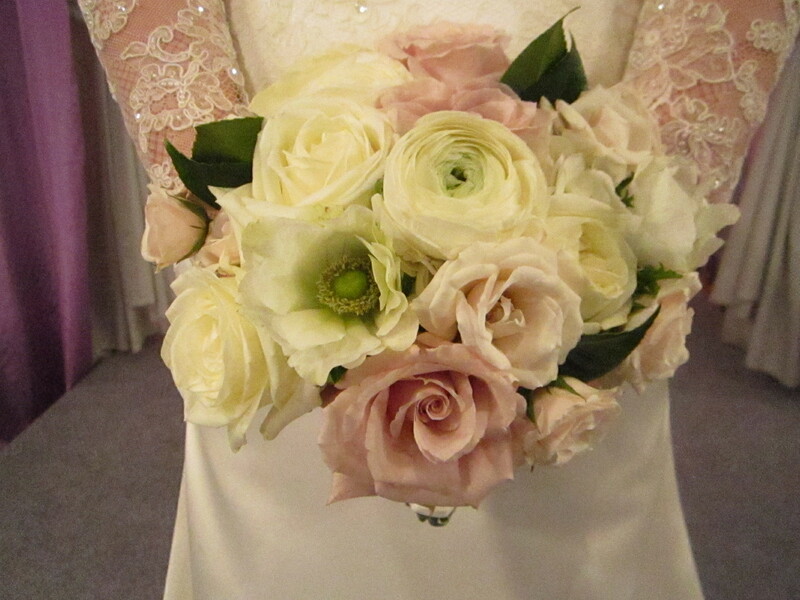 Courtney’s bouquet in whites and soft pinks. 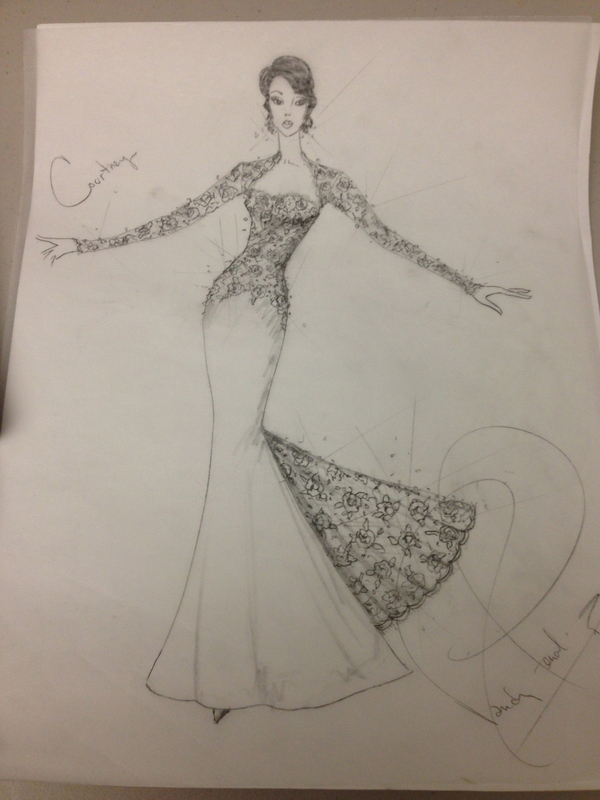 My sketch for Courtney’s bridal blueprint. Visit www.augustajones.com to see more gowns and accessories from Augusta Jones.